Destiny's journey, along with other proposed Stargate projects are over, Brad Wright has announced. Don’t expect to see Stargate Universe — or any other part of the franchise — come blazing back on television or DVD. At least not in the near future. Stargate writer, executive producer and mastermind Brad Wright took the stage earlier today at Creation Entertainment’s Official Stargate Convention in Vancouver, British Columbia and proceeded to update and clear the air on the fate of the latest series, Stargate Universe. The capacity crowd at the Metrotown Hilton in Burnaby listened in silence, with some attendees visibly in tears, as Wright waxed reminiscently on the almost two decades worth of the franchise he’s had a hand in creating. 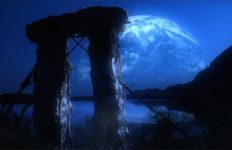 Wright also confirmed that the proposed Stargate SG-1 and Atlantis movies have been permanently shelved, along with another movie idea he had been trying to get a greenlight on, which would have combined and involved cast members of all three series. Scripts for the first two of those projects, tentatively titled Stargate: Revolution and Stargate: Extinction (respectively), were completed well over a year ago. What does this news mean for the future of the Stargate brand and the franchise? In the short-term, there are no plans to begin production on anything Stargate-related. But it’s a situation Wright doesn’t see as final — even if he’s not a part of it. “It’s a franchise. Stargate is not over,” he said. 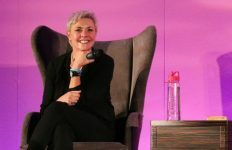 “Somebody smart from MGM is going to figure it out, and something will happen.” Wright said, adding that he’s embracing the chance and prospect of writing material that isn’t Stargate related, and will be actively working on other pilots. 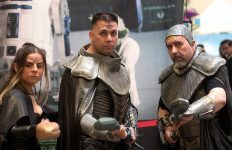 Keep your browser locked on GateWorld in the days and weeks to come for more updates and reports from this year’s Creation Vancouver convention, including brand-new and exclusive sit-downs with cast members from all three series. I must say it isn’t really much of a surprise considering how things have been with it all lately though this is really sad to hear though Hopefully like he said some one will pick up stargate again one day could be a continuation or a complete remake who knows. Dear Mr. Wright, I’d rather have no hope than false hope only to have that false hope diminished. So if nothing is coming, say nothing is coming until it actually comes. Don’t play politician with us, tell it to use as it is. Brad said nothing new here, but it’s still sad to see the franchise die, especially on such a sour note. But Brad is right; it’ll come back one day. 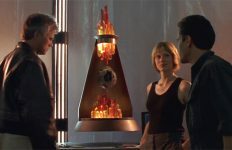 With SG-1 and Atlnatis there was steady viwers, so I don’t understand why they decided to change things up at all? After the first season the number were very decreased, why did they continue a show that they knew would continue to pull bad numbers and not please viwers? The rest of my inner child just died after reading this article. You brought this upon yourselves. All of you. Stargate, the brilliant show with a fantastic run but a fandom which revolted against change. started watching in 1997 when i was 13, and now im 27. what more can i say, but thank you. MGM should have sold Stargate if they are just going to shelve the whole franchise! The saddest part of this is that we will NEVER see those three movies or even a conclusion to the SG: Universe story-line. More than likely – the series will be rebooted in a decade or so…by then SG will be another classic show for the history books. Sheppard would say now:OH crap. It’d be nice if they’d toss us a bone and release the SG-1 and Atlantis movie scripts. Really heartbroken about this but i guess we all knew it was coming. SG-1 cancelled, Atlantis Cancelled, SGW & SGR cancelled and now SGU along with any other proposed movies or continuations cancelled. 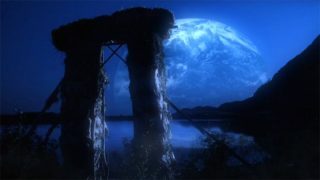 . . Will always remember the stargate franchise as a big part of my teenage years :( R.I.P Stargate! But i agree with ocdtrekkie, the movie scripts would be brilliant to have! At least we could find out what happens with the lucian alliance & with atlantis being on earth etc. . . kind of massive cliffhangers never to be answered there. . .
Just shows the pointlessness of fandom… Kinda learned that from Star Trek. Which, after many years, got a stupid reboot that takes the franchise into an alternate timeline and drops a truckload of poo on any serious fan. Guess what’s gonna happen with Stargate? Well. The damn same thing and none of us can’t do anything! Shame. Moving on. Teach him to be far too arrogant with the show. I will always remember that one quote where he compared the show to star trek and said it could be as successful if not better…. Never a good thing when you compare to some legends. a reboot??? I think Emmerich wants his sequel still. one that would totally obliterate all that was done on tv. what made MGM change their minds i wonder? Could someone ask Wright at the convention if a book deal is in the works? I mean, if we can’t movies, I wouldn’t mind 2-3 books to conclude the SGU story. But I definitely need a conclusion. a true fan would have supported SGU even if he didnt like it because that would in return have helped SGA and SG-1. and the ratings for the mckay episode really showed the value of the stargate franchise. I am sad we will not get a ending for SGU. At least Atlantis and SG1 had a ending an frankly I after seeing what the writers and the universe were capable of delivering in SGU I have fallen a bit out of love with the other two series. I hope we will get a book or two to wrap up SGU in the near future. i like the positive spin the title of the article has. brad’s words actually mean its over…forever. no one believes anyone will pick it up. The franchise is history, stargate buried again. Comic form!!! Common let IDW create a comic to keep the series going… It worked for Buffy and Angel. This only confirms what I feared would happen ever since SGU ratings started going down. It would die and take the Franchise with it. This really pisses me off, not so much the death of SGU, I can live with that, but the decision not to greenlight the movies because SGU has done badly. SGU is NOTHING like SG1 and Atlantis, if people don’t like SGU fine, but you can’t base a decision about the SGA/SG1 movies based on SGU’s performance. Do they remember that the SG1 movies were successful for them? The first mistake that MGM/Syfy/Brad Wright did, was to cancel SGA -first-, and later have SGU start out fresh as a newcomer. SGA benefitted greatly from being simulcast alongside SG-1 for seasons 8-10. Had they continued producing SGA alongside SGU, the ratings would likely have been higher, and we’d probably see a shift in SGA style to be more in line with SGU’s style. @Browncoat1984 There is a difference between false hope and hope that doesn’t work out. False hope is when someone tells you to believe is something even when they know it can never happen. What happened here is he was hopeful as we were. Then things didn’t work out, so the hope just didn’t turn out the way we wanted it to.